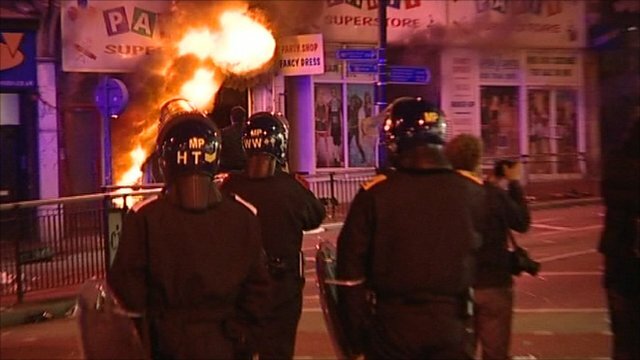 Rioters go on rampage in Liverpool Jump to media player There are reports of hundreds of youths with masks roaming through Toxteth in Liverpool as violence continues in London for a third night. 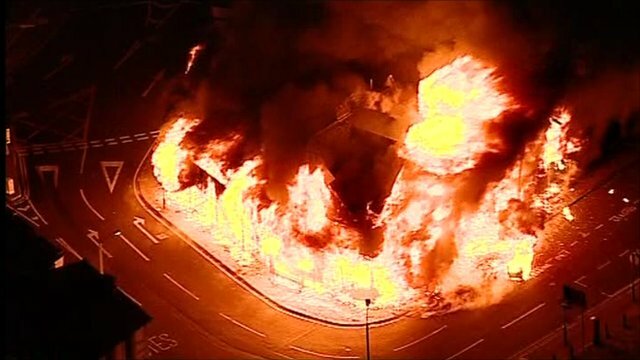 Croydon store owner: 'Mindless arson' Jump to media player Trevor Reeves, owner of a furniture store said to be a "landmark" of Croydon which was set ablaze said he did not understand the "mindless" acts of arson. Clapham Junction resident escapes house fire Jump to media player Clapham Junction resident Nick Shaw escaped from his building which was set ablaze. 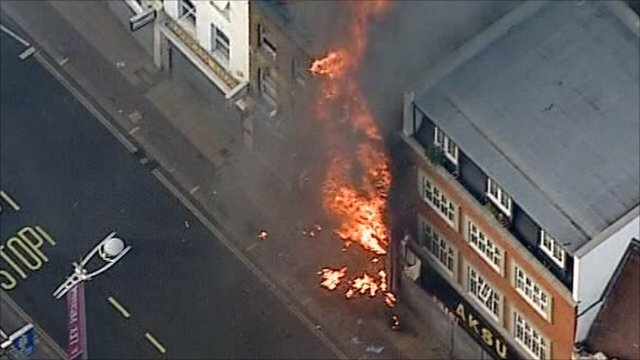 Fires in Croydon as riots rage on Jump to media player Rioting has spread to more areas of London, with windows smashed and fires started in Hackney, Lewisham and Peckham. 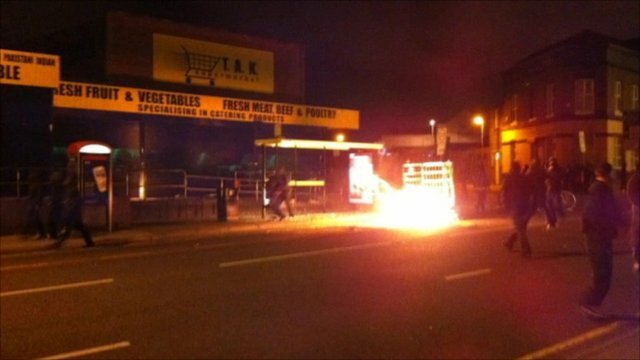 Are the riots similar to the 1980s? 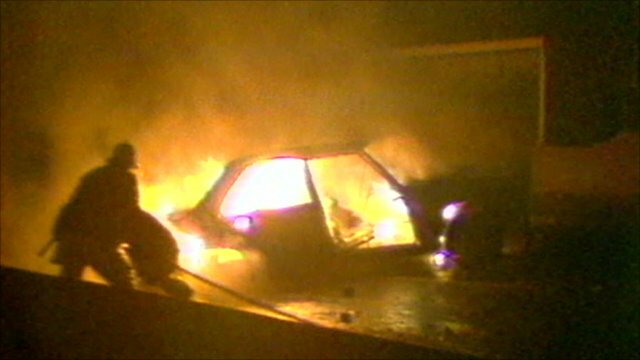 Jump to media player Newsnight's Gavin Esler investigates if there any useful parallels between violent UK riots of the 1980s and the recent rioting in London. 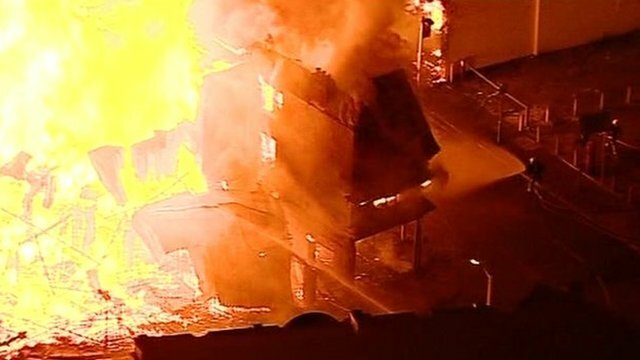 London riots: Peckham shops ablaze Jump to media player Shops have been set on fire in Peckham, south London, as riots continue for a third night in the capital. 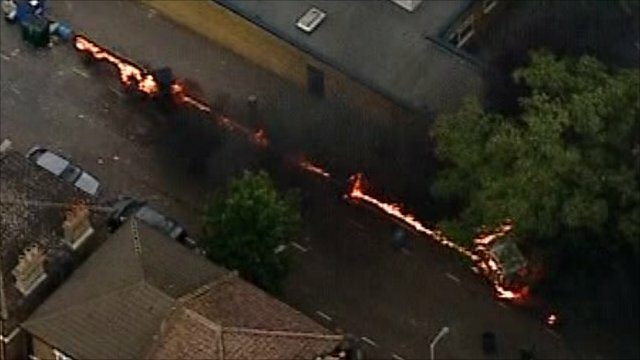 Cars set on fire in Lewisham Jump to media player Vehicles have been set ablaze in Lewisham, south London, as violence across the capital erupts for a third night. 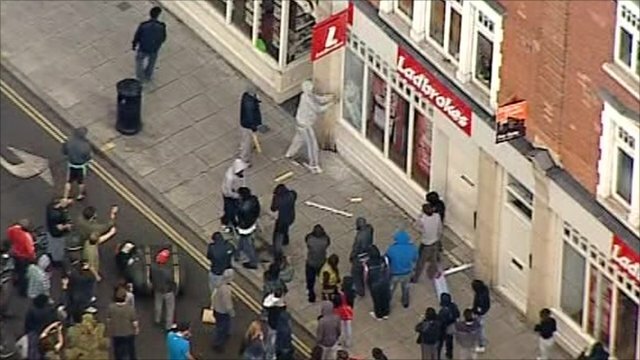 Hackney police and shops attacked Jump to media player Clashes and looting has erupted in Hackney, east London, following rioting in several areas of the city over the weekend. There are reports of hundreds of youths with masks roaming through Toxteth in Liverpool as violence continues in London for a third night. Liverpool resident Damion said cars and buildings have been set alight with limited police intervention.